At the same time, Andrews provides a comprehensive overview of the most used tools and techniques in the rest of the program. 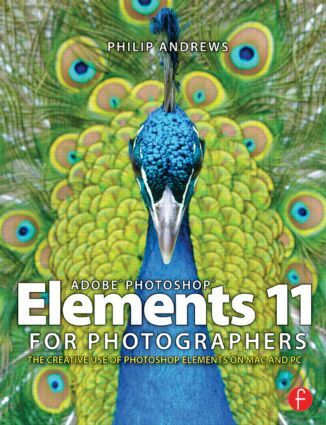 Readers also benefit from a being able to access book resources and instructional videos at the associated website photoshopelements.net. They can also extend their learning with the special Photoshop Elements for Photographers app available from the Apple App Store. Philip Andrews is Adobe Australia's official Photoshop and Elements Ambassador. He is an experienced photographer, author, magazine editor and online course creator. He was previously a lecturer at the Queensland School of Printing and Graphic Arts, Australia and Nescot, England. He is a beta tester for Photoshop, an alpha tester for Photoshop Elements and a Photoshop specialist demonstrator for Adobe Australia. Philip is also co-founder of photo-college.com, an online photography training college. He's a regular contributor to several magazines including Shutterbug, Amateur Photographer, Australian Photography and Better Photography, and is senior contributing editor for Better Digital, columnist for What Digital Camera, and co-editor and publisher of Better Photoshop Techniques magazine.